Located in the heart of Downtown SLO! Just step out your door and stroll to the mission plaza, dozens of eateries and the Thursday night farmer's market. 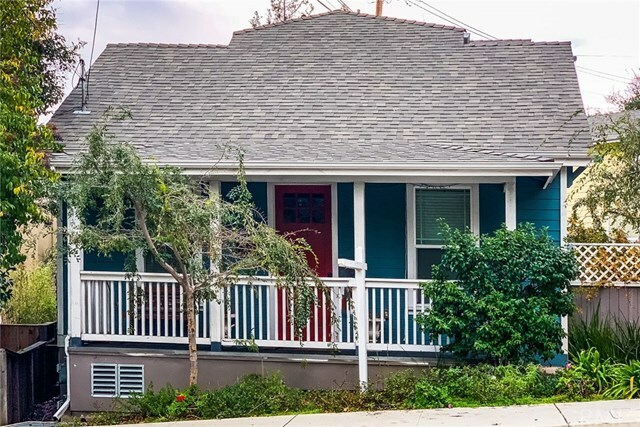 This home was completely remodeled in 2013 including the addition of a 2 car garage - a luxury for downtown property. The open kitchen, living room and dining area are on the entry level as is a laundry area, bathroom and bonus room. Upstairs includes the master bedroom and two additional bedrooms and a bathroom. The landscape is low maintenance with two private patios on each side of the house. This is the perfect place for downtown living, a second home, or rental. Take a look, you'll want to own this special slice of SLO.